US and Chinese officials ended two days of talks on Thursday with no major breakthrough as their trade war escalated with activation of another round of duelling tariffs on $16 billion worth of each country's goods. "We concluded two days of discussions with counterparts from China and exchanged views on how to achieve fairness, balance, and reciprocity in the economic relationship," White House spokeswoman Lindsay Walters said in a brief e-mailed statement. The discussions included "addressing structural issues in China," including its intellectual property and technology transfer policies, Walters said. Implementation of the latest 25 per cent tariffs on Thursday did not derail the talks, led by US Treasury Under Secretary David Malpass and Chinese Commerce Vice Minister Wang Shouwen. They were the first face-to-face US-China meetings since early June to try to find a way out of a deepening trade conflict and escalating tariffs. Earlier, a senior Trump administration official downplayed chances for success, saying China had yet to address US complaints about alleged misappropriation of US intellectual property and industrial subsidies. 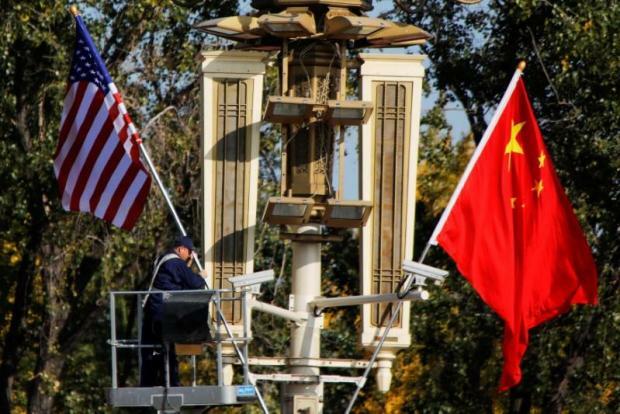 "In order for us to get a positive result out of these engagements, it's really critical that they (China) address the fundamental concerns that we have raised," the official said on a press call on the new US security review law for foreign acquisitions. "We haven't seen that yet, but we are going to continue to encourage them to address problems that we have raised." In a brief statement on Friday, the Chinese commerce ministry said both sides had a "constructive" and "candid" exchange over trade issues, and would stay in touch on the next steps. "This round of trade negotiations is the same. If you want to seriously talk for a good outcome then you should do so earnestly, there's no need to speak out loudly," he told a daily news briefing. China's Commerce Ministry said in Beijing that it has filed a complaint with the World Trade Organization over the latest round of US tariffs. The two countries have now targeted $50 billion of each other's goods and threatened duties on most of the rest of their bilateral trade, raising concerns that the conflict could dent global economic growth. Beijing has denied US allegations it systematically forces the unfair transfer of US technology and has said it adheres to World Trade Organisation rules. Washington's latest tariffs apply to 279 product categories, including semiconductors, plastics, chemicals and railway equipment, that the Office of the US Trade Representative has said benefit from Beijing's "Made in China 2025" industrial plan to make China competitive in high-tech industries. John Neuffer, president of the Semiconductor Industry Association, said the tariffs would hurt US companies more than Chinese firms, since most semiconductor products imported from China started out as chips fabricated in the United States. "Putting tariffs on semiconductors specifically doesn't give the administration additional leverage. The Chinese don't sell their own semiconductors to America so Chinese enterprises won't be hurt by this," Neuffer said.